As soon as I saw the ads for this on the train, I knew I had to try it! I’m a sucker for new Häagen-Dazs flavours – we’ve clearly established that fact already. 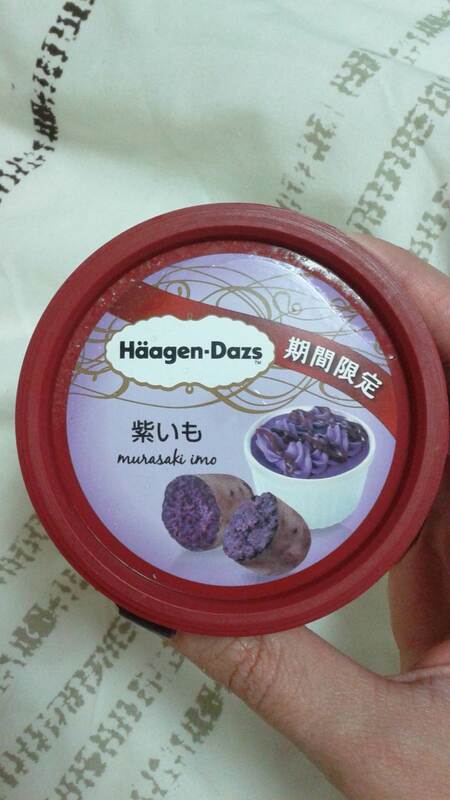 Now, I love sweet potatoes, and murasaki imo means, quite literally, purple potato. (I do mean literally as literally and not figuratively here. I really can’t get over that meaning having been added to official dictionaries. Call me old fashioned if you like, but that’s how I feel.) Its cousin, the satsuma imo is also available here – that one is the kind that’s yellow-orange inside, and just as yum. 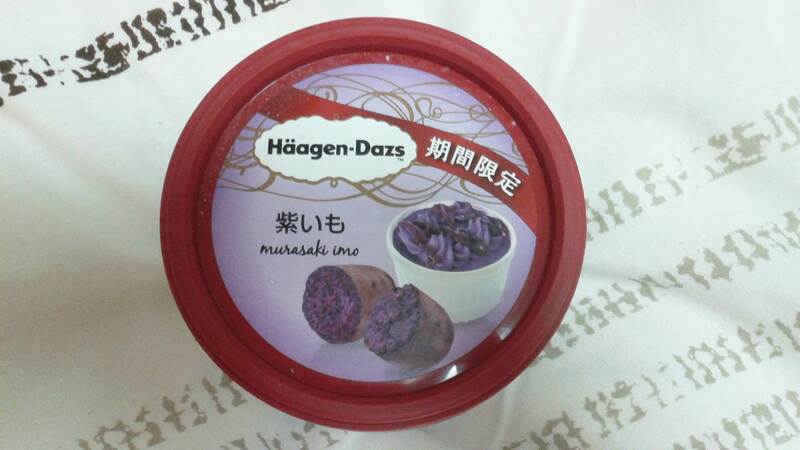 In line with most Häagen-Dazs releases, it was very nice. It wasn’t overly sweet, and it was a fun and pretty lavender colour, with darker purple swirls all the way through it. 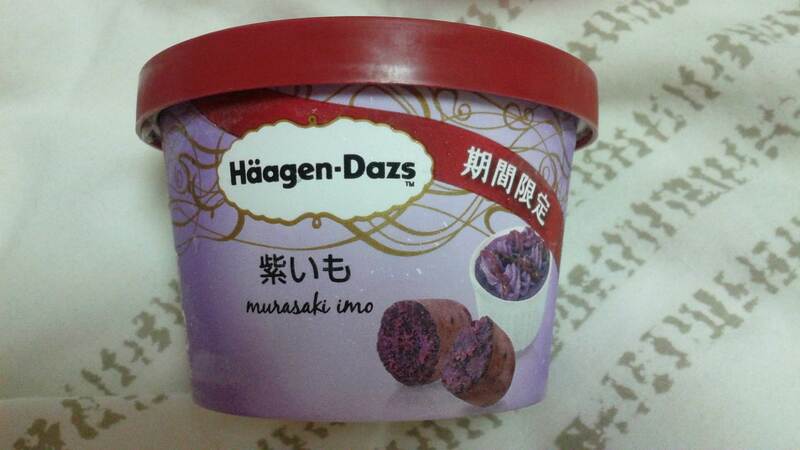 It was a combination of milky sweet potato sweetness. It was a more demure flavour than some of the ones that have been released over the years, Green Tea and White Chocolate Truffle, for example. If you are in Japan and have the chance to try this, please do. It is a flavour that can be found at soft serve ice cream shops as well, so don’t fret if your local convenience store doesn’t stock these. Looks so interesting! Love how there were even swirls on top! I wish I could! Unfortunately, even the Japanese supermarkets here in Southern California don’t stock those unusual Haagen Dazs flavors. Will have to stick to my mochi ice cream lol! Potato ice cream. I know it’s purple potato, but still. Awesome. OHHHH this looks delicious!!! I doubt they’ll have this in Chicago 😦 I miss Japan…they had the best of everything! 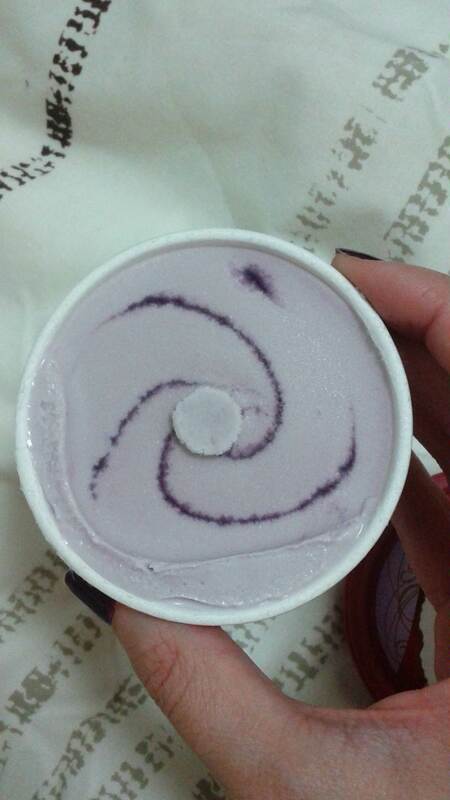 I’ve never seen purple ice cream before, and the swirl looks so lovely. Though I’m so picky that I don’t see myself buying that (IF they still sell it when I arrive to Japan hahaha). It’s SO good 🙂 You should definitely try it when you’re here! I’m going to hunt this down tomorrow 😀 I don’t think the grocery store buy me carries it so I’ll have to go to another one! That swirl is definitely a nice touch, oh Japan. It’s so odd, I have a 7-11 really near me that doesn’t have them, and then there’s another 7-11 a little further away, but still near me, and that one does stock them! 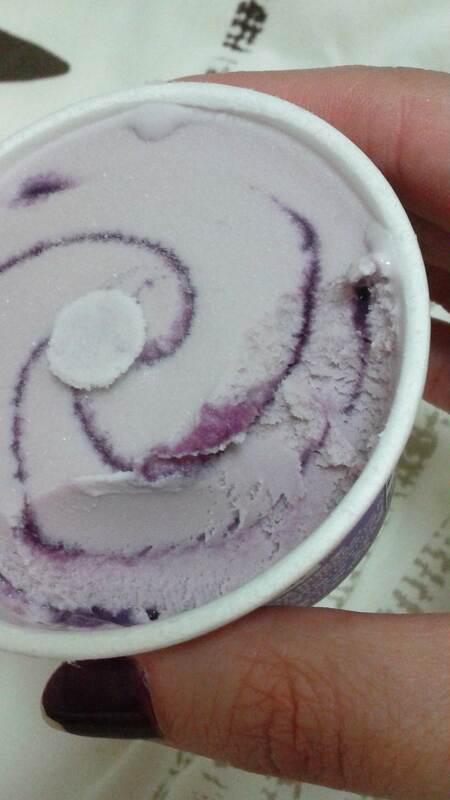 In Phillippines, we call this “ube” (taro)—this is my all time favourite ice-cream, and bubble tea flavour. Lucky for me, “ube” ice-cream is sold at one of my local asian supermarkets, but it is sooooo expensive, it costs almost $10 CAD for a little tub. LOVE!!! That is very lucky for you! In London you can get stuff from Japan too, but at exorbitant prices.